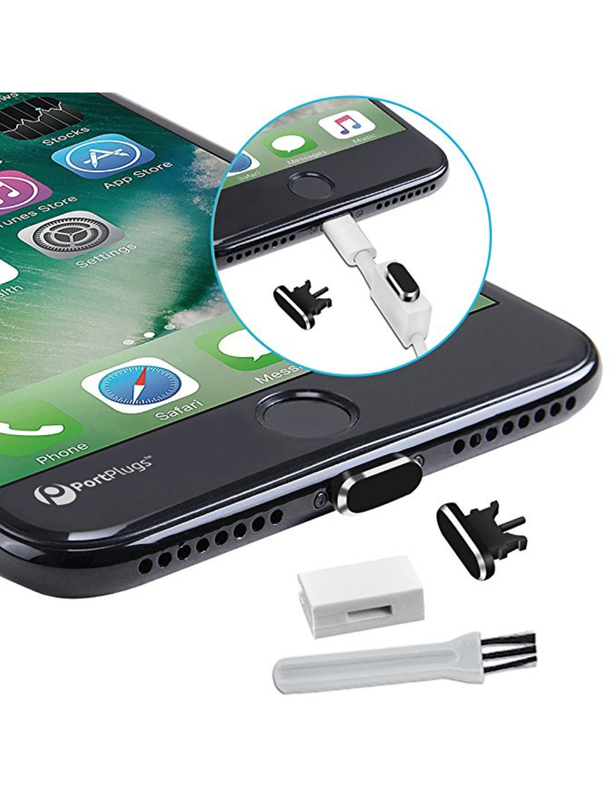 2 IN 1 FUNCTIONALITY: Protect your lightning port while enjoying enhanced functionality with our new 2-in-1 iPhone port plugs. 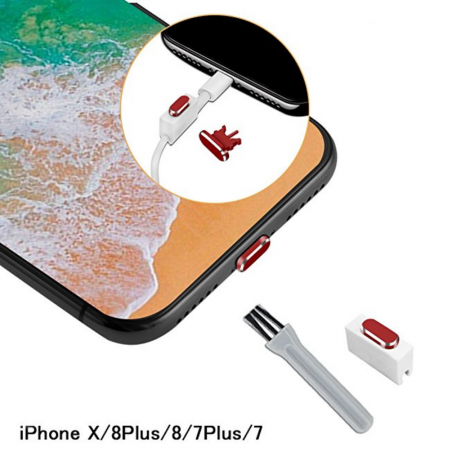 Not only do they keep lint, grime, dust, and splashes away from your charging port but also double as a handy SIM card removal tool. And we’ve included 2 lightning port covers in every set to ensure you have a spare just in case. 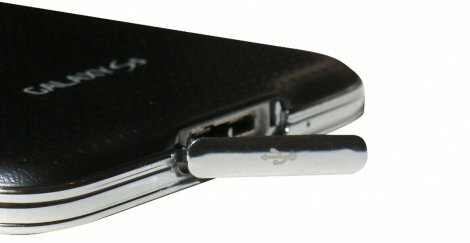 PREMIUM ALUMINUM BUILD: No sacrificing aesthetics for protection. 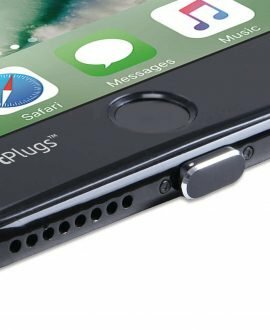 We’ve designed these iPhone port caps using highly-durable aluminum that is styled to complement the sleek lines and curves of your smartphone. 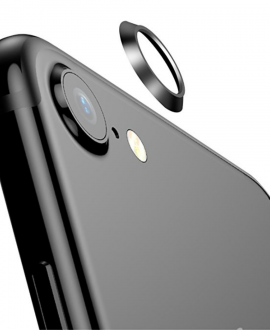 Whether you own a silver, gold, red, rose gold, or black iPhone, you’ll find anti-dust covers to match from our collection. 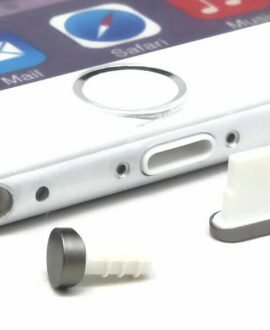 CUSTOM CRAFTED FIT: These metal lightning port caps are easy to insert and remove, remain in place as you move about, stay flush to your phone to prevent snagging, and work with the majority of phone cases. 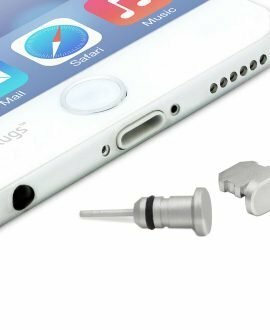 The anti-dust plug stopper set is compatible with iPhone 7, 7 Plus, 8, 8 Plus, & iPhone X. FREE PORT BRUSH AND PLUG HOLDER: We love giving you the best bang for your buck. 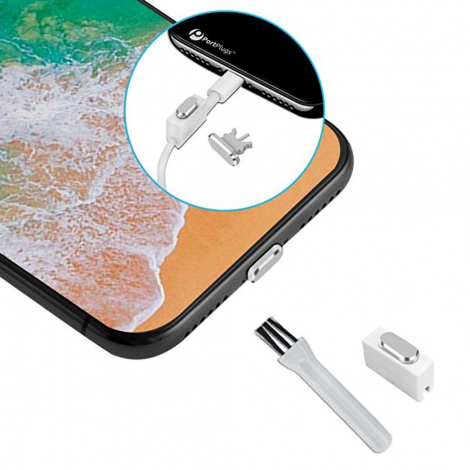 That’s why we’ve bundled our Apple port covers with a free nylon brush for safely removing dirt and debris from the lightning port and a free cord holder that slips onto your charging cable and provides a convenient slot to store your aluminum plug while it’s out of the port. 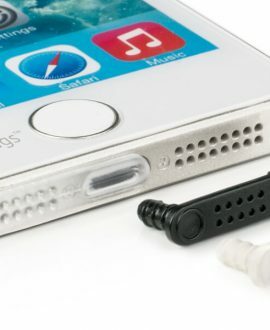 100% MONEY BACK GUARANTEE: Enjoy a completely risk-free purchase with our 100% money-back guarantee. You have absolutely nothing to lose! 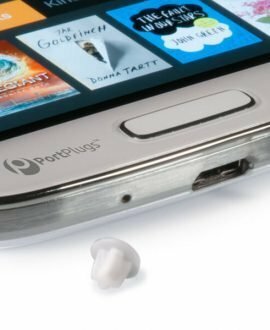 We’ll gladly offer you a full refund or replacement in case of any dissatisfaction with these 2-in-1 metallic lightning port dust stoppers. Click ‘Add to Cart’ now!